Dis cussions about diversity are frequently appearing in news outlets and social media channels. No matter where you turn, there is another incident, another argument, another fight. Many of these incidents are occurring at work. Have you thought about the toll lack of understanding is taking on your workplace? If not, perhaps it is time you did. 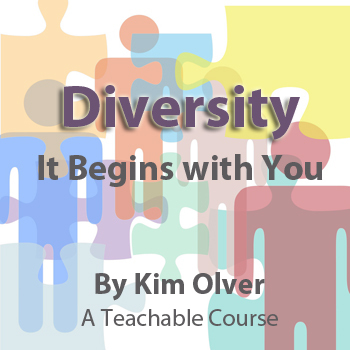 Kim Olver, author, licensed therapist, and certified coach understands the need for diversity in the workplace; she co-authored with Sylvester Baugh the book, Leveraging Diversity at Work -How to Hire, Retain, and Inspire a Diverse Workforce for Peak Performance and Profit. The book addresses how the lack of diversity impacts a business’ profitability, character and reputation. Olver and Baugh also offer on-site diversity training specifically designed to meet a company’s needs. As evidenced in recent news stories, many companies have realized too late there is lack of understanding in their workforce. 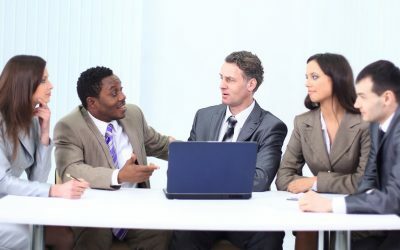 Workplace diversity training often can act as a preventative measure. The workshops help companies identify obstacles that are impeding developing and maintaining an effective and diverse workforce. Helping employees learn how to embrace differences can be empowering and profitable. It is hard to feel part of a team if you don’t feel included. Assisting employees in developing empathy can benefit not only the employees, but also the company. “A diverse workforce can be a company’s greatest power, yet precious few companies have learned to leverage its power,” Olver said. “The reality is that the United States is a multicultural nation that is becoming more multicultural daily. The contributions of minorities and women in the workplace are invaluable, not to mention the advantages of diversity for the global market,” she continued. Kim Olver, M.S., LCPC, NCC, BCC, conducts the diversity trainings with Sylvester Baugh. Her mission is to help people get along better with the important people in their lives, including themselves, at home and at work. 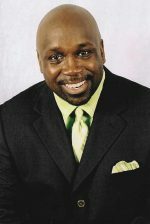 Olver is a licensed counselor, certified coach, trainer, speaker and author. 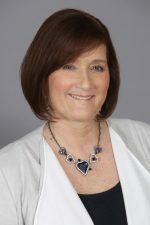 In addition, she serves as the Executive Director of The William Glasser Institute and of William Glasser International. Sylvester Baugh is the owner of Baugh Training & Consulting. Are you interested in Diversity training? Are you ready to profit from our differences?